If you’re a dog owner, you know that rule number one in summer is to keep your dogs safe in the heat but that doesn’t mean that your furry friends can’t join in on the holiday fun! There are plenty of ways you can incorporate your dogs in fun summer activities, and in this month’s Pawprintz, we will look at activities that your pets will enjoy just as much as you do! Beach trips are an easy summer activity that everyone is sure to enjoy – just look up your nearest dog-friendly beach online and explore the shoreline! Using some simple equipment, such as hula hoops, mesh tunnels, or cones, you can set up a basic obstacle course in your own backyard to keep your dog (and anyone watching!) entertained for hours! New Zealand has over 70 dog-friendly DOC campsites, so you’re never too far from a camping adventure with your best friend. Bring your friends and family along and enjoy a weekend away in the warm weather. Pack up your kitchen and head outdoors for a summer meal with your pet. If you can’t find a dog-friendly café in your area, it’s the perfect excuse to have a picnic in the park and let your dog run around before a meal under the sun. If you’ve got a BBQ at home, invite your friends over and have a BBQ dinner. Not only will your dog love the company, but sneaking them bits of meat will surely keep them occupied. Turn your garden into a splash zone! If your dog is a sprinkler fiend, set up some sprinklers in your backyard and let your dog play in the splash zone. On a really hot day, this is an easy way to keep your dog active but cool. Finally, you can celebrate the warm weather with some cool treats! 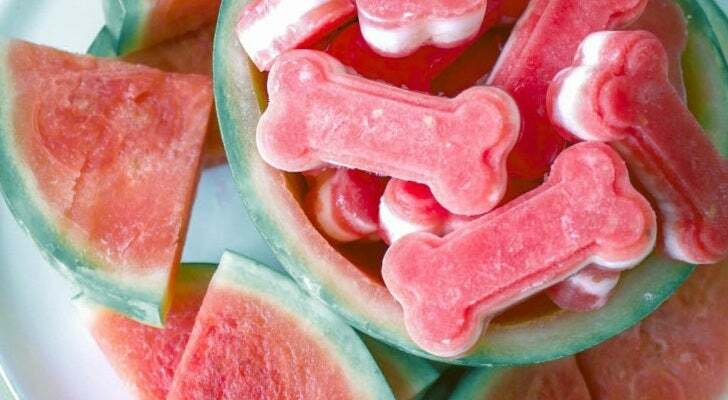 It’s simple to make frozen dog treats! 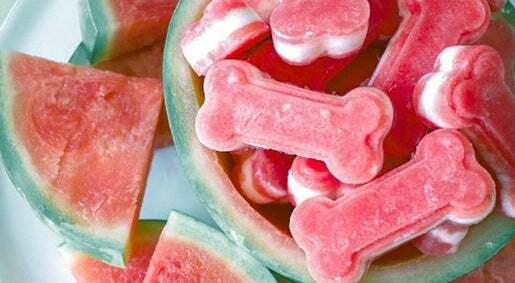 You can do something as easy as simply freezing watermelon cubes, or go all out and make ‘pup’sicles! Some of our favourite ideas for doggy popsicles are peanut butter and banana popsicles, apple and yoghurt ice blocks, or frozen strawberry banana smoothies! Get creative - almost any combination of your dog’s favourite snacks can be turned into a frozen treat to keep them cool on a hot day! It’s easy to keep your four-legged friends occupied over the summer season! The most important thing is to ensure that you’re prepared to keep an eye on your dog so they don’t overheat. If you have any fun ideas for summer activities with your dogs, share them with us on our Facebook page!